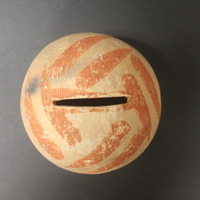 IMTFI is pleased to share our Money Archive which represents our ongoing efforts to digitize and upload images of an extensive collection of artifacts donated by our researchers, graduate students, and money-enthusiasts over the years. 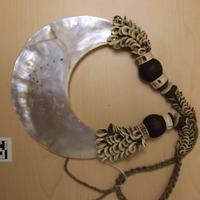 The archive features objects that range from the esoteric -- books about magic tricks with money, board games, piggy banks from several different countries, classic bank notes and coins to the classically anthropological kissi pennies, kina shell necklaces and cowrie shells. 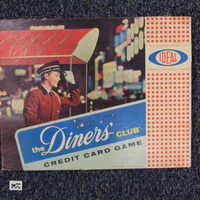 We have art, scrip, old credit card readers, alternative currencies and much more! Powered by Omeka software, the website is designed to be searchable by both country of origin and through specifically curated collections. The website features a regular search bar to make it easier to locate any item by name or place of origin. Browse country specific items by simply clicking on the “browse items” button on the home page and then “browse by tab” option. This will yield a list of countries associated with all of the objects on the site. Clicking on the country will give you the list of all the items from the country of your choice. Feel free to look through our collections and send us an email at imtfi@uci.edu if you would like to know more about an object or need pictures for purposes of research. You can also drop by to visit the archives collections in person, housed in the IMTFI offices at the Social and Behavioral Sciences Gateway at UC Irvine, by prior appointment. To view the curated collection, just select the “browse collections” option on the homepage. This will take you to the list of 9 collections that we have grouped the objects by.